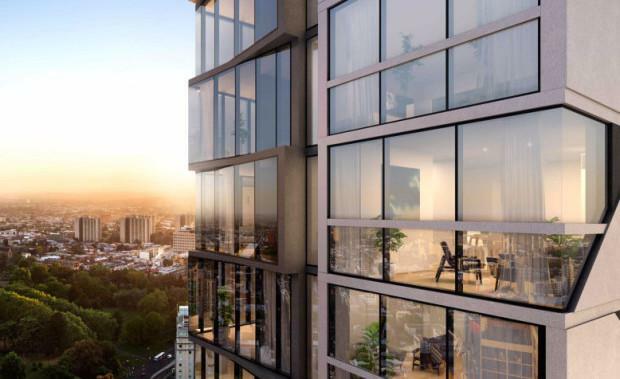 Developer VIMG’s 42-floor luxury apartment building at 141 La Trobe Street in the Melbourne CBD is now at the marketing stage. The tower, designed by architecture firm PLUS, comprises 177 apartments with a mix of 1 and 2 bedrooms. It occupies two sites in the Melbourne CBD, 141 La Trobe Street and 25 Bennetts Lane. The rectangular site has a distinctive location that spans from the busy La Trobe Street through to the pedestrian orientated Bennetts Lane.